is just a three minute stroll from the town's main street and just 40 metres from the golden sands of Buffalo Beach. We're also located right next to the sumptuous Lost Spring thermal pools and spa - the perfect place to relax during your stay with us. When arriving at the Resort, the reception for Oceans Resort is found 50 metres inside the main entry. Our golf buggy is usually parked outside. Press the door bell for onsite assistance if the reception door is closed. 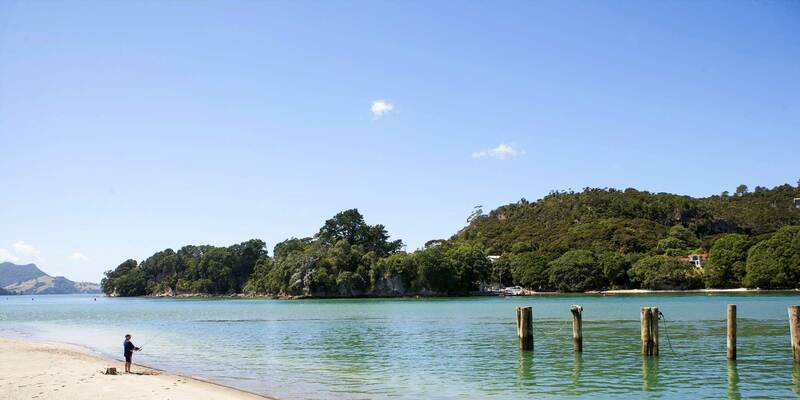 Just 2 ½ hours drive from Auckland, Hamilton or Tauranga, Oceans Resort Whitianga is located in the heart of the Coromandel Peninsula. Fly from Auckland or Tauranga in just half an hour!